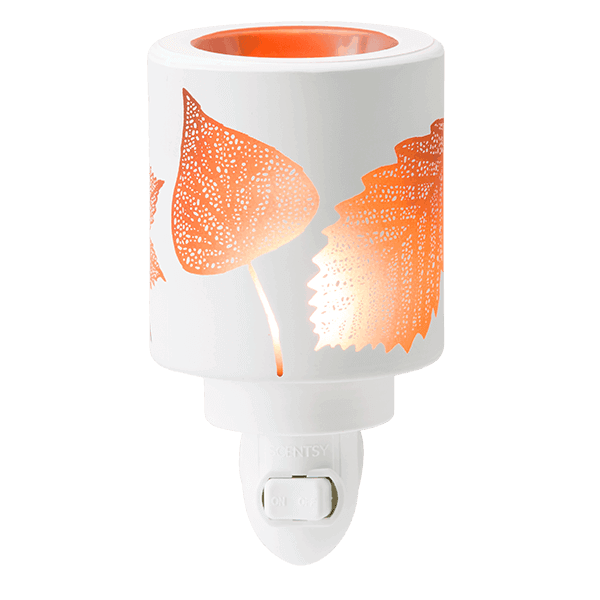 Scentsy Amber Leaves Mini Warmer – A simple, elegant rendering of autumn-painted leaves awash in golden light. A simple, elegant rendering of autumn-painted leaves awash in golden light. 4″ tall, 15W, glass. Plug them into the wall, or use our Mini Warmer Table Top Base designed for use on any flat surface.